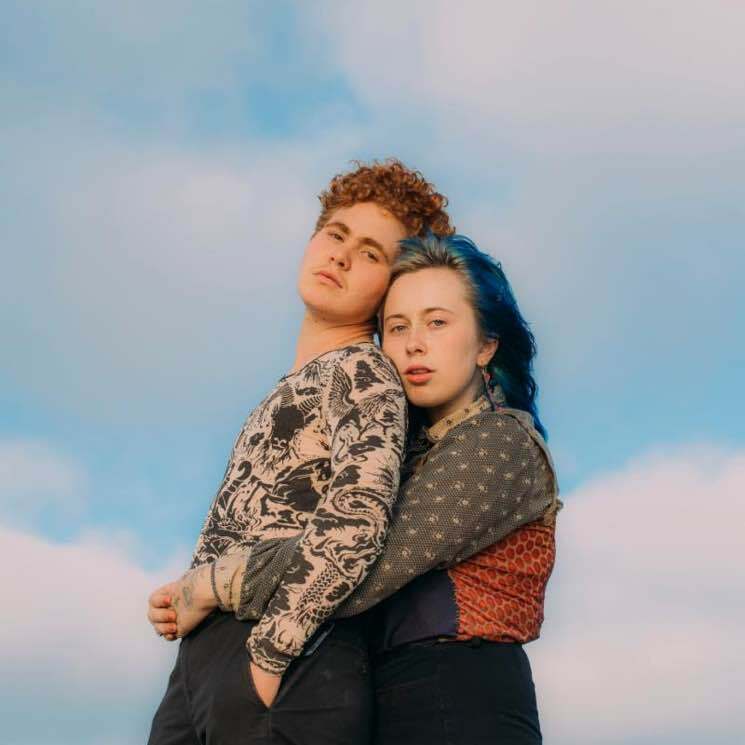 Girlpool have announced plans for their third full-length album. Titled What Chaos Is Imaginary, it's due out on February 1 via Anti-. The album marks the follow-up to 2017's Powerplant and hears the band once again creating an record completely distinct from its predecessor. What Chaos Is Imaginary found Cleo Tucker and Harmony Tividad coming back together after a period of working on solo material. "Before, we would build our songs together with four hands, from the ground up," Tucker said in a press release. "Our songs used to be intertwined in a different way. We brought our separate experiences to the songs that we crafted together, we valued understanding that they were multidimensional." Now, the duo are more comfortable to start off working individually and coming together "when it feels right," though both members still collaborate on production and arrangement, according to a press release. The new record is said to blend Tividad's stream-of-consciousness writing with Tucker's need to create order and see his artistic vision through to completion. The result is apparently an album that makes it obvious who wrote what song. The album also hears the introduction of drum machines and synthesizers, new harmonies, big guitars and "at least one orchestral breakdown by a string octet." We've already heard "Lucy's" and "Where You Sink" from the LP, and now you can listen to "Hire" as well. Just scroll down to the bottom of the page and press play. In addition to the new album, Girlpool have announced a North American tour. Starting in April, the trek features a pile of U.S. dates, as well as Canadian concerts in Toronto, Montreal and Vancouver. You can see the full schedule below.